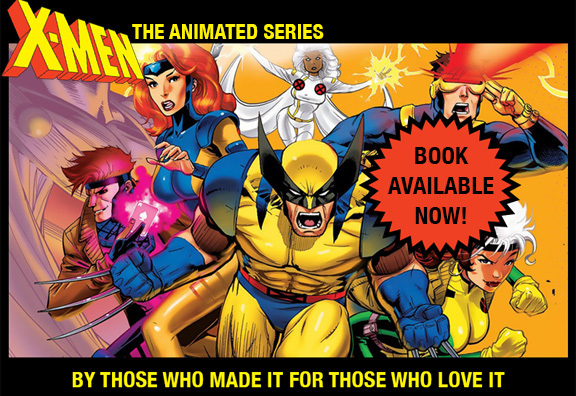 For 29 years the voices of the X-Men had been a private, individual choice. Each comic book writer and reader had imagined his or her own Cyclops or Professor X. We laid out the first 13 half-hour stories not knowing what Wolverine or Gambit would really sound like. As we awaited the first recordings of the would-be cast, we hoped for the best. Then we got them. They were just wrong. We had all dreamed of adult, movie-like dramatic voices, and what we got were goofy and young. This wasn’t the actors’ fault — this is how Saturday morning animation voices had mostly been for 30 years. Luckily, Margaret and Sidney at Fox knew that X-MEN:TAS needed to be different. We recast. And as we tried out new people — jazz singers (Wolverine) and Shakespearean actors (Xavier) — we found the voice of the series. No other choice was more important than Rogue. Our cast was Canadian, and Rogue needed to sound like she was from the Deep South and not in a silly or overdone way. Lenore Zahn, born in Australia and raised in Saskatchewan and Nova Scotia, nailed it in five seconds. She also created a generation of adoring male fans who loved listening to her, and a generation of female fans who admired her combination of strength and vulnerability. Today, Lenore is a Canadian Member of Parliament! That’s right — Rogue helps run Canada. And some of her most fun moments occur when an adult male politician discovers that Lenore was the voice of Rogue. She told me that “They tend to go a little weak in the knees.” We get it. Below is Will Meugniot’s initial conception of Rogue for the series, polished by Rick Hoberg. And a current picture of the MP representing Nova Scotia, Lenore Zahn.